Packing for a summer vacation whether it's to the beach or a European odyssey should be painless. Although preparing for a trip entails season specific consideration it's important that one does not over pack. So we've put together a list of the bare essentials you'll need while away. 2. 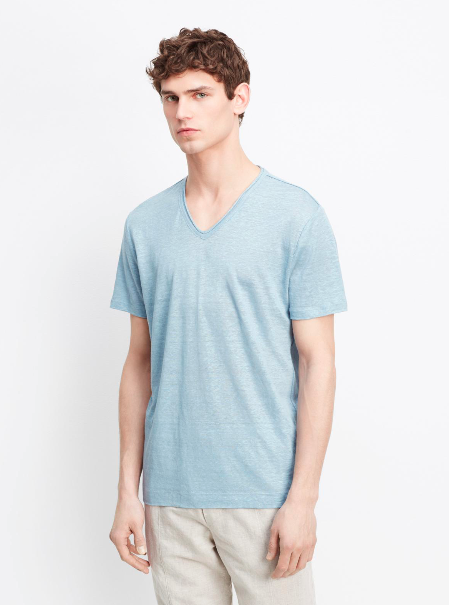 These cotton tees from Vince and Robert Barakett breath easy and are perfect for the laid back lifestyle. 3. A cardigan and sport coat can come in handy for the flight or a night by the water. Canali, Talbott and LBM are the go to pieces. 4. "What's a summer vacation without them?" Zegna, Tom Ford and Robert Graham have you covered while looking good! Now, sit back and relax! Images 1-3 via www.lyst.com. Images 4 and 5 via Marcus Lloyd.